ADVANCE ONLINE RESERVATIONS ARE LIVE! 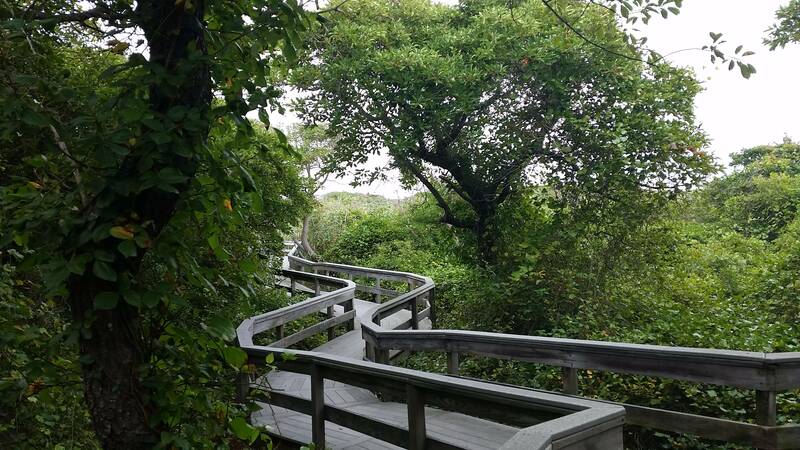 ♥ Come enjoy Fire Island at its finest at Watch Hill. Our campsites are in a protected area behind the primary dunes and just a short walk to the oceanside beach. The facilities include running water, picnic tables, grills, showers and bathrooms. Our Whalehouse Point Restaurant & Bar are now open 7 days a week in the summer season to provide visitor services and relief from the elements, live music and other programming. The campground contains 22 sand sites, one universally accessible campsite on decking, one group campsite and 4 glamping sites (28 total camping & glamping sites). ♥ Each Glamping site allows up to 5 guests or family unit per furnished platform tent with bedding (click here for more info). 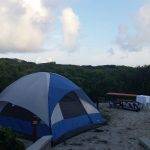 ♥ Each campground site allows for five adults with either two 2-man tents or one 5-man tent. These sites can be reserved for $25 per night in the shoulder seasons and $35 per night during peak summer with a two night minimum for Friday and Saturday night stays. ♥ Please read the safety bulletin, campground rules and cancellation policy for further information that will help your stay with us be more enjoyable. By reserving, you are agreeing to the campground rules and cancellation policy. ♥ Walk-ins are welcome, but be aware that we cannot guarantee you a site — Call ahead or use book online with your mobile or campground rules and cancellation policy. Hey Buddy!, I found this information for you: "Camping". Here is the website link: https://www.lovefins.com/camping/. Thank you.